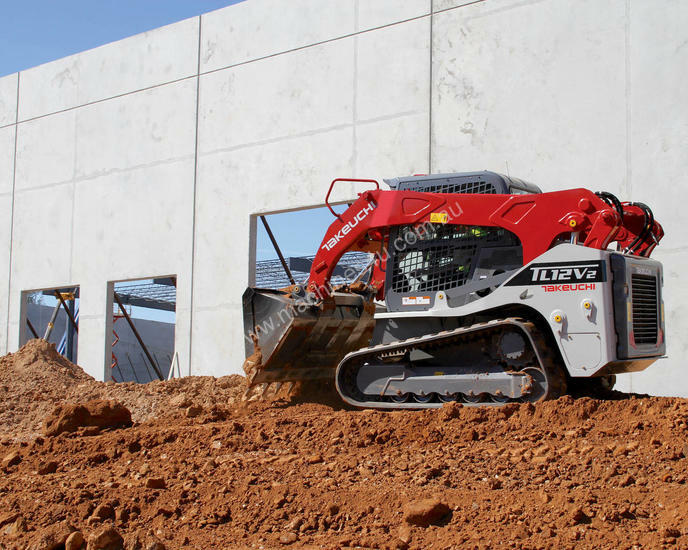 The all-new TL12V2 track loader from Takeuchi is the company’s first vertical lift design. 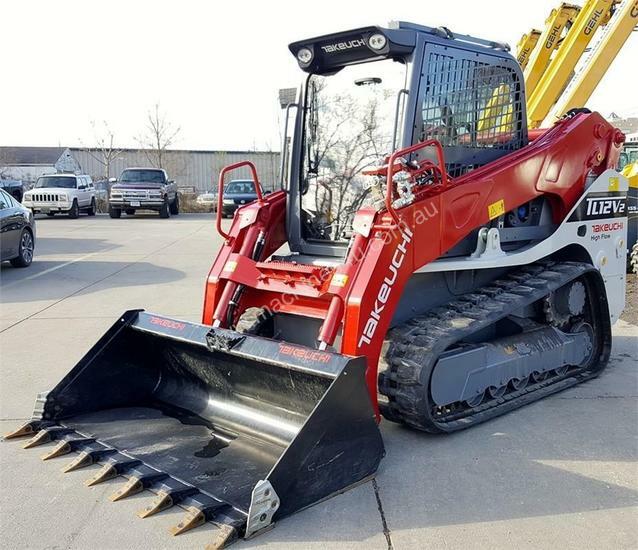 The geometry of the boom and bucket linkage is such that the front edge of the bucket travels in a straight vertical line from the ground to full dump height making it much easier for you to get close to trucks and walls for loading. It also helps stability and increases lift height. 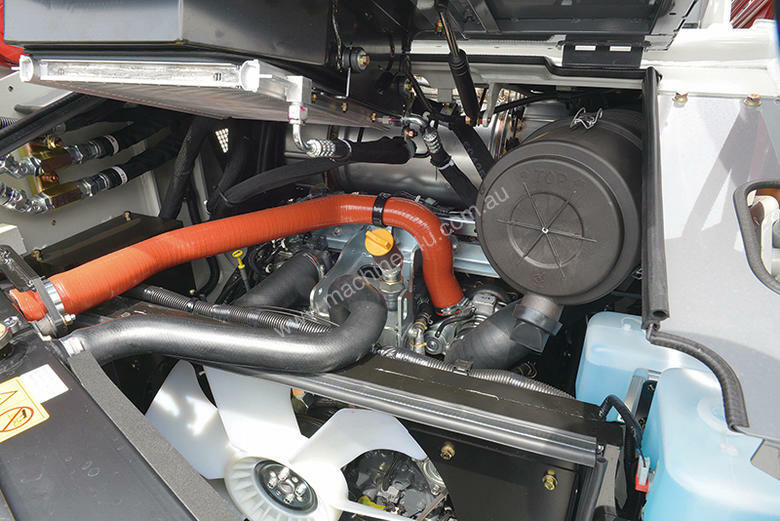 A Tier 4 Final, Kubota 3.8 liter diesel engine produces 111.3 horsepower and 284 foot-pounds of torque. 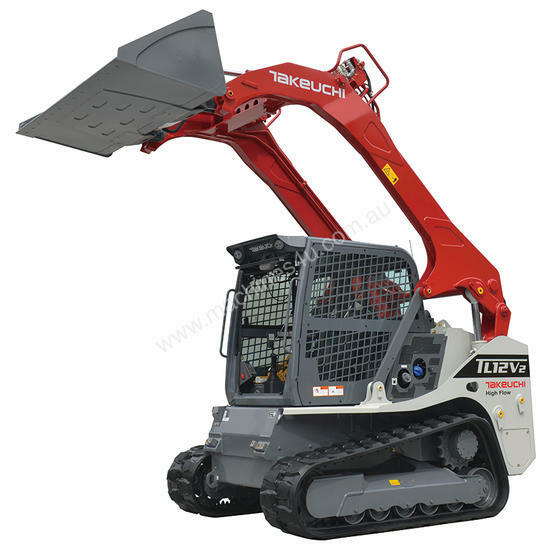 Takeuchi lowered the boom arm cross member on the machine as well, which improves visibility. 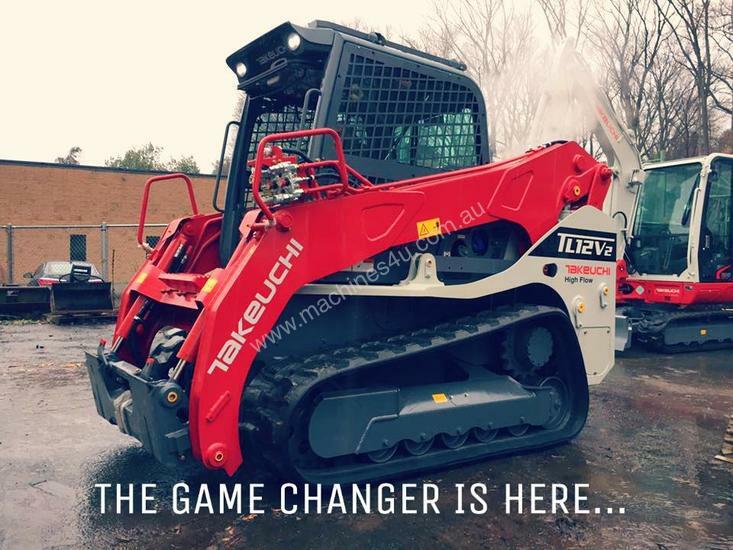 Takeuchi calls the operator’s station “completely revamped,” with a wider cab improving comfort and accessibility. 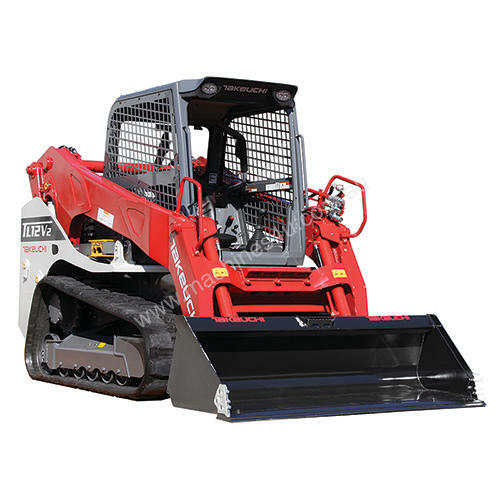 The loader also features a new 5.7-inch color display. 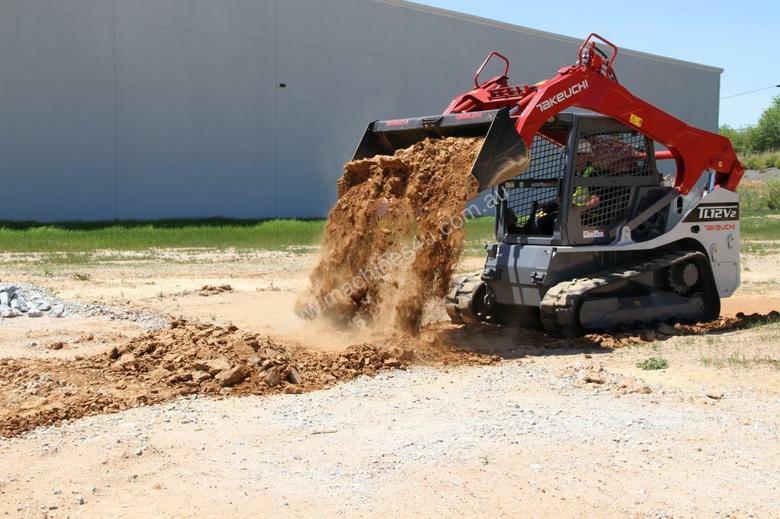 What the company calls a “quiet track design” reduces noise and vibration using a tread pattern that also produces greater flotation. 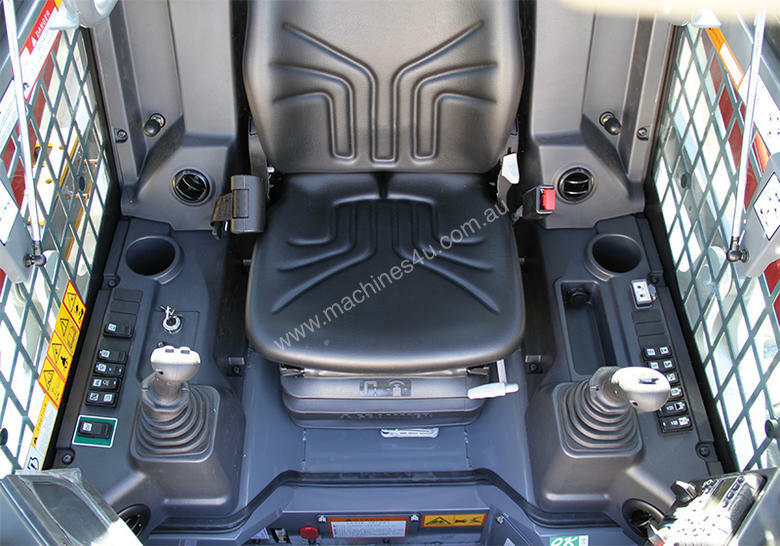 A new contact pad between the roller and track enhances ride quality and reduces vibration. The increased track length also improves stability and ride quality.